I met Daniel during our respective postgraduate degrees as students at Monash University in Melbourne, Australia. 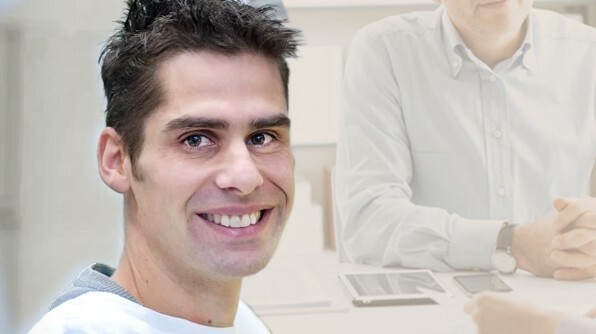 Daniel obtained his PhD from Monash in 2003. Working with Professor Richard Boyd, he studied how thymic stromal cells orchestrate T cell development and immunological tolerance. He then moved to the Harvard Medical School to conduct his postdoctoral research with Professors Diane Mathis and Christophe Benoist. Daniel returned to Australia in 2008 to work with Professor Andreas Strasser at the Walter and Eliza Hall Institute (WEHI) on apoptotic processes that mediate lymphocyte deletion, and he was appointed to Laboratory Head in 2013. Christopher Siatskas: When did you first know you wanted to become a scientist, basically - what sparked your love of science? Daniel Gray: As a kid I was always interested in the natural world, but my love of immunology was sparked around 1996. I was a sleepwalker - I used to find myself waking up when my dad would be watching TV late at night. Once I woke up and there was an interview with Jacques Miller, Donald Metcalf, and Sir Gustav Nossal from the Walter and Eliza Hall Institute (WEHI). I remember the stories that they told about their science - each of them had an inspirational story to tell. I happened to be doing biology in high school at the time so I started asking questions and learning more about the thymus. I was just fascinated by this organ that seemed so mysterious for so long, probably the last organ to have its function finally discovered. Drs. Miller and Nossal are both quite present at the institute today, – it’s an inspiration to have these scientists still at the institute. CS: Changing gears a bit, what’s one non-lab thing you are passionate about? DG: Well you already know this Chris, it’s Australian Rules Football - the greatest game that the world doesn’t know about. It’s a phenomenon in Australia, I love it, it’s a really exciting game, the energy and everything is so fun. CS: What’s one piece of non-existent technology that could’ve helped you finish your PhD in half the time? DG: Instant cell suspensions - that would have saved me days of time. Much of my PhD was spent ages digesting and fractionating lymphoid tissue using enzymes and antibody-coated beads. It made it hard to do this research but that’s why it hadn’t been done before. I suppose that if everyone had instant cells suspensions it wouldn’t have been so special. CS: Moving on to your current research goals, what are you doing now? DG: My lab works at the interface between cell death and immunology. The reason is that cell death is such a prominent feature in the immunological landscape is that defects in the process touch on almost every major property to cause disease. The possibility of directly modifying cell death for therapeutic benefit has recently become a reality for certain blood cancers. We are very interested in whether similar principles might be applied to immune disorders because of the unique way that the cell death machinery is wired in different cells. CS: Where do you think the translational opportunities lay with understanding cell death in the immune system? DG: There’s a new drug that is a BCL2 inhibitor - Venetoclax, recently approved by the FDA for the treatment of CLL. It also has applications for other cancers where cells become addicted to survival molecules. Why we think that this drug is so important is that it can improve the old ways of doing chemotherapy - which is to injure cells so badly that they activate apoptosis. This drug bypasses all that and flicks the cell death switch and directly kills the cells without causing too much collateral damage normally seen with standard chemotherapy regimens. We also know that different immune cell subsets rely on different pro-survival molecules so if you’re looking at an autoimmune disorder with chronic T cell activation, there’s an opportunity to strike at specific subsets of T cells based on the survival molecules they’re relying on, without disturbing the rest of the T cell repertoire. CS: That’s a great summary of what you’ve been up to lately, what about your previous work? DG: My first post doc was in the lab of Drs. Diane Mathis and Christophe Benoist in Boston. I was trying to understand how stromal cells in thymus mediate T cell differentiation. 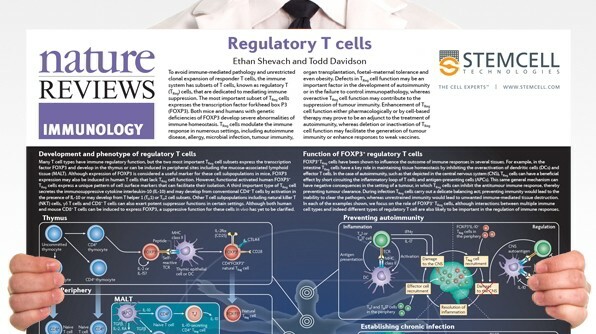 As I was just finishing my PhD, there was a breakthrough paper published in Science on the autoimmune regulator gene (AIRE), which plays a major role in immunological tolerance. There is a really unusual phenomenon in the thymus where stromal cells express thousands of genes you normally wouldn’t think would be expressed, such as insulin, thyroglobulin, or embryonically-regulated genes normally not seen in the adult. Diane Mathis and Christophe Benoist’s group defined the immunological function of this gene which answered the longstanding question of how the thymus can mediate such complete tolerance to these tissue antigens without having them represented there - well, it turned out they were actually present in the thymus. So I was inspired by that research and interviewed at many labs but was most interested in Diane and Christophe’s and the opportunity to follow up this game changing finding. CS: So now you’ve been at the WEHI for 5+ years? DG: Actually it’s more like 8 years, I came at the end of 2008. I joined the institute as a senior postdoctoral fellow in Professor Andreas Strasser’s lab as I felt it was important to do a second postdoctoral stint due to the fact that it was a natural progression from my work in Boston which was about immunological tolerance. The drive with Andreas’ lab was to take many of the tools that they identified which are involved in apoptosis and apply it to understanding immune tolerance, specifically apoptotic deletion. In 2013 I was appointed as lab head in the division of Molecular Genetics of Cancer, headed by Professors Jerry Adams and Andreas Strasser, in addition to an appointment in the Immunology division headed by Professor Phil Hodgkin. CS: What do you think is the most exciting finding in your area? DG: I think it was the discovery that BCL2 was a survival gene, made over 30 years ago by Professors David Vaux, Suzanne Cory and Jerry Adams, that put apoptosis and cell survival on the map. There has been a great history of discoveries made at the WEHI and other institutions, but then to see that knowledge being transformed into drugs, such as Venetoclax for the treatment of leukemia, heralds a new era for chemotherapy. 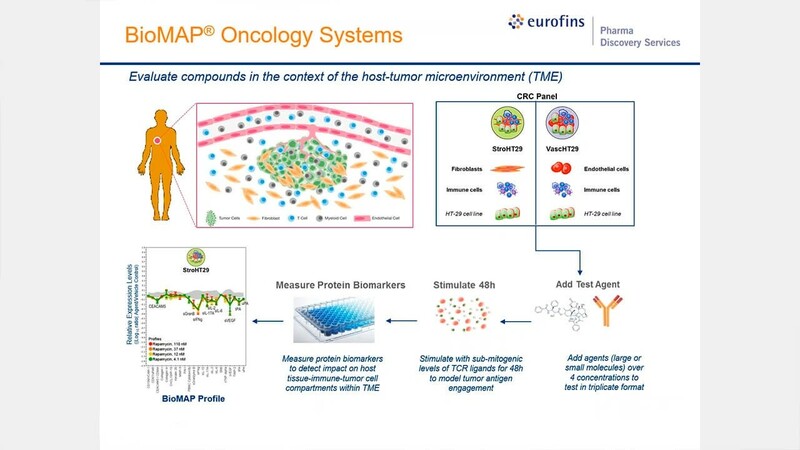 This is also a really interesting time because of the opportunities to explore combinatorial approaches with drugs that block BCL2 and other forms of immunotherapy. 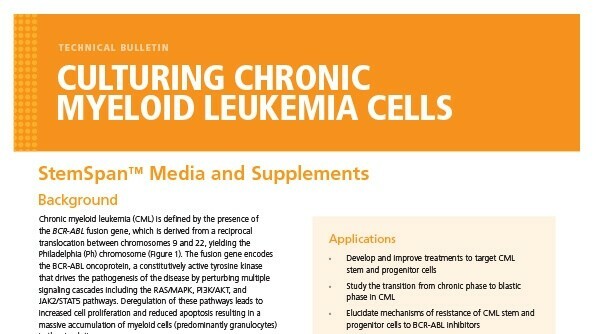 We are also engaged in understanding the process in which leukemic cells can resist treatment or relapse, how they change in the presence of this molecule and whether the new drug combinations can lead to better outcomes. CS: With that in mind what do you think are the biggest challenges in solving these bigger questions with what you're doing? DG: For me the biggest challenge seems to be that there is so much fragmentation of knowledge in the field and less focus on general principles in biology. The literature is simply too vast. There is also a lot of data out there to use which is good, but you still need to know the right questions to ask. I suppose this is where working in large teams becomes essential. CS: Following up to that, where do you think research in the field is headed? DG: I think we are headed to a better view of disease-specific mechanisms in autoimmune disease and cancer. This view might better deal with the heterogeneity there is in humans as many older studies looked at general principles in a single mouse strain, and although these studies are valuable, when we come to translating those insights into specific treatments it becomes challenging. I think things are headed towards understanding the ‘rules’ that govern a particular disease, that should lead to better treatments. CS: It's been great speaking with you again Daniel, thank you for your time! Christopher Siatskas is a Principal Scientist on the Hematopoietic & Immunopoietic Team in RND at STEMCELL Technologies in Vancouver, Canada. 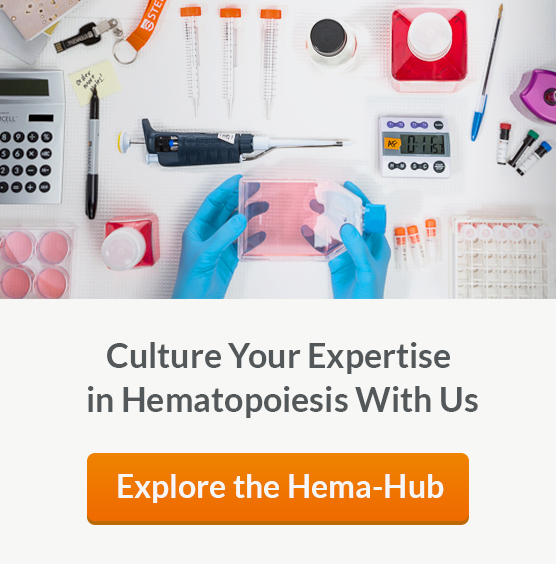 This expert interview is published as part of our Hematopoiesis Hub. Visit to find tips about classic and new products, see more conversations with experts in the field, apply for travel awards and more.